WeGoLook App Review... Is it for real? Nowadays it seems like just about everyone is looking for how to make money fast. Don’t believe us? Just look around the roads today and try to drive one block without seeing at least one Uber or Lyft car driving around! Becoming an Uber or Lyft driving is a great way to supplement your income, for many, having to interact with passengers day in and day out or needing to maintain a vehicle that will meet Uber and Lyft’s strict criteria can be a bit challenging. It’s also not easy to be an Uber or Lyft driver! So, don’t let anyone tell you that becoming a Uber or Lyft driver is a great “passive income idea” or that you’re not going to have to work hard for every dollar that you earn! In our continued effort to help our clients find ways to supplement their income by taking on a part time job or by utilizing one of the many great money making apps that are out there, we wanted to take a moment and review the WeGoLook app so that if you’re in the process of looking for an alternative way to supplement your income or looking to one day to have a self employed job, perhaps after reading this review, you may find that the WeGoLook app can get you one step closer to meeting your goal. So, what is the WeGoLook app and how does it work? As the name sort of suggests, this site actually pays you to go and look at stuff. Well, not exactly just that, but sort of. You’re in the market for a new dog. You find one that seems like a match, but that dog is 2 hours away. Instead of making the drive to see the pup, first you hire someone from WeGoLook to do the preliminary “looking’. The “looker” sends some photos, feedback and finds out any other info you ask them to. The looker gets paid for this task. Pretty cool idea, right? You can either decide to use the WeGoLook app as a money saving app for your own personal use, or you can decide to become a LOOKER! Are there really a lot of opportunities to “look”? Believe it or not, lookers get paid at least $25 per assignment. This means that if you do just 4 look jobs a week, you’ll make at minimum, $100 a week. You may get a priority status if you have some great experience, special certification that can be valuable to WeGoLook customers, or you simply build an amazing WeGoLook performance track record. 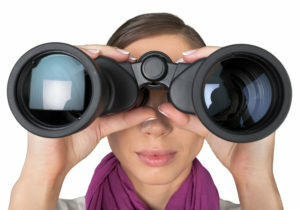 Pro Lookers get more opportunities and can get better pay. The greatest part about WeGoLook is that it’s totally flexible. You decide when and where you want to work, and then you find work that fits those requests. Most of the jobs only take 20 minutes to actually complete (aside from the time it would take to drive to the location). Are out and about and have some spare time, why not pick up a job or two? Make a quick $25 while already out doing errands. Now at this point, you may be asking yourself, why is an insurance brokerage taking the time to review the WeGoLook app? That’s a great question! It may seem odd that TermLife2Go, a company that specializes in finding the right life insurance for people (just in case you’d like to compare Term Life Insurance Quotes), would be interested in reviewing an app that helps people earn a little extra cash. But let’s take a closer look at our motivation behind this review. Here at TermLIfe2Go, our number one goal at TermLife2Go is to help our clients protect the financial security of their loved ones. We generally do this by helping them purchase a affordable life insurance policy so that if they die, their loved ones will be protected financially. There will be those clients who either can’t qualify for a life insurance policy (due to health reasons) or simply can’t afford to purchase a life insurance policy due to their age or their current health status. Being able to “earn” some extra money each and every month can have two positive affects for their family. First, they may be able to earn enough money so that they can now afford the life insurance policy that they wanted to purchase for their loved ones or, the can begin saving enough money so that insurance policy that they “thought” they needed is no longer necessary. Our goal at TermLife2Go is realized! It is important to understand that we here at TermLife2Go are not “financial experts” nor are we an employment agency! All we are is a bunch of life insurance agents who just happen to be really good at helping folks qualify for life insurance. We should point out that we are not associated with the WeGoLook app at all. And we do not receive any type of compensation for recommending them. Which means that it doesn’t matter to us one way or another if you choose to use them or become a “looker” for them. We’re just saying maybe you should check them out if you’re looking to earn a few extra bucks. Next Post: Cash for Apps Review… Is it worth your time and energy?